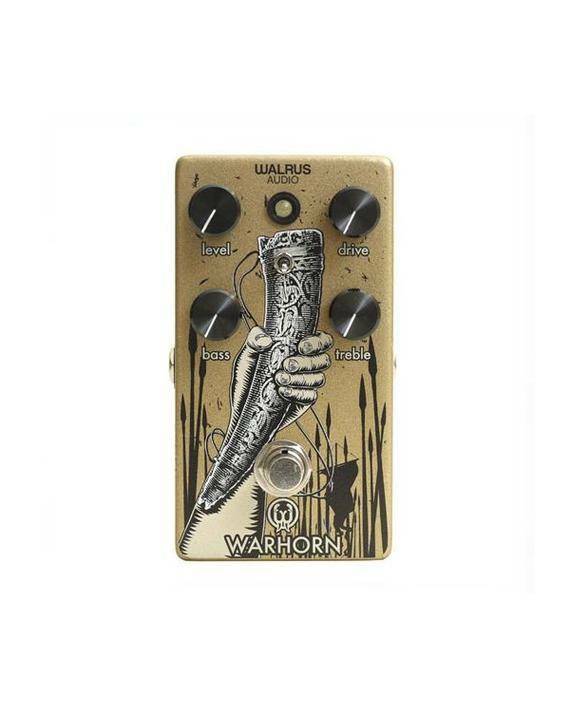 The Warhorn is a mid-range, transparent overdrive pedal that’s capable of punchy rhythm, to searing Texas Blues leads. 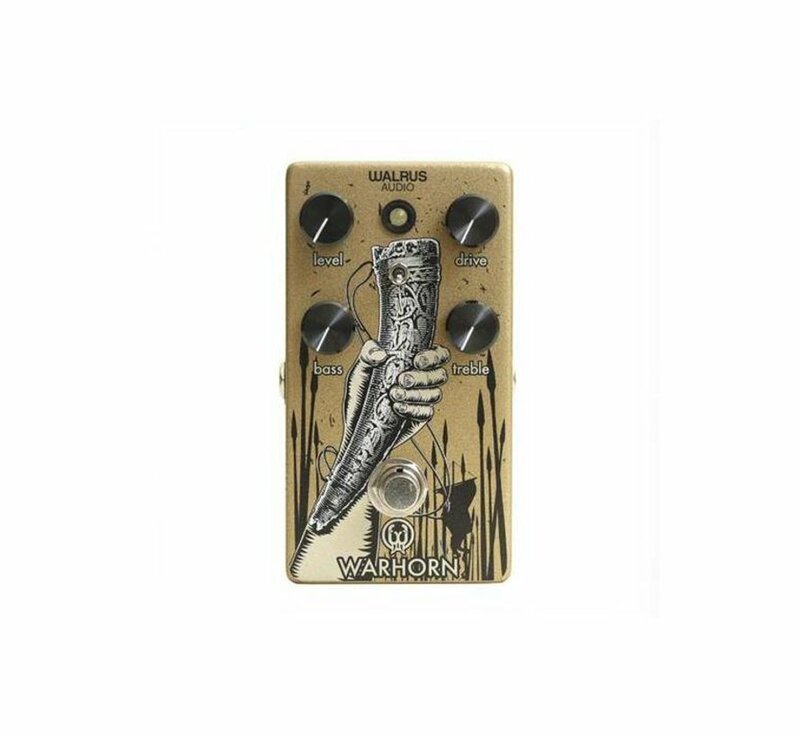 For added versatility, the pedal features a toggle switch that provides two flavors of clipping. The up position is a more compressed, symmetrically clipped tone, and the down position is an asymmetric, more open and organic sound. It includes Level, Drive, Bass and Treble controls providing a large range of tweaking and shaping options for your original tone. 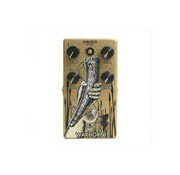 The Warhorn comes in 'prismatic gold' enclosure with white, cream and black ink. Artwork features a warrior at the front lines brandishing an intricate battle horn leading his army in a victorious battle.